April 23, 2012 - The U.S. Navy has purchased two more radar systems from Raytheon Company as part of a continuing effort to replace outdated analog air traffic control systems with digital technology. The new radars will be installed at military bases in New River, North Carolina and Quantico, Virginia. The Digital Airport Surveillance Radar (DASR) ASR-11 is the first fully digital, solid-state radar to be implemented in the U.S. National Airspace System (NAS). The radars have been deployed to more than 130 sites throughout the world, and will eventually be in more than 150 sites total. The Digital Airport Surveillance Radar (DASR) is a new terminal air traffic control radar system that replaces current analog systems with new digital technology. The United States Air Force Electronics Systems Center, the US Federal Aviation Administration, US Army and the US Navy are in the process of procuring DASR systems to upgrade existing radar facilities for US Department of Defense (DoD) and civilian airfields. The DASR system detects aircraft position and weather conditions in the vicinity of civilian and military airfields. The civilian nomenclature for this radar is the ASR-11. The ASR-11 will replace existing ASR-7, ASR-8, and ASR-9 models. The military nomenclature for the radar is the AN/GPN-30. The older radars, some up to 20 years old, are being replaced to improve reliability, provide additional weather data, reduce maintenance cost, improve performance, and provide digital data to new digital automation systems for presentation on air traffic controller displays. The Iraqi Air Force has received the DASR system. The ASR-11 provides primary surveillance radar coverage up to 60 miles and secondary surveillance radar coverage up to 120 miles. 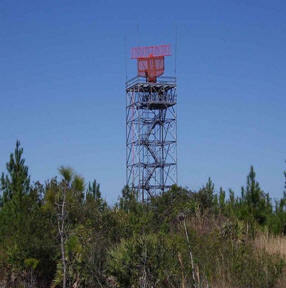 It provides the air traffic controller with improved aircraft detection, lower support costs and better weather display. The primary radar is being manufactured in Waterloo, Canada, while the secondary radar will be made in the United States and United Kingdom. "This radar technology is raising the bar even higher on safety," said Mike Prout, vice president of Security and Transportation Systems for Raytheon's Network Centric Systems business. "Our radars will help controllers maintain safety in an increasingly busy airspace." Analog radars are steadily being replaced as part of the NAS Modernization Program, which involves upgrading legacy air traffic control systems with modern digital technology to enable the Navy to keep pace with changing Federal Aviation Administration guidelines and standards for terminal radar approach controls. The digital radar is also an integral part of Raytheon's recently introduced Mobile Air Traffic Control system, which provides critical air traffic services when existing infrastructure has been damaged or does not exist.